Mostly every sports fanatic (21 and over that is) has experienced the bittersweet feeling of enjoying a cold, alcoholic beverage at their favorite sporting event; but for Brazilian soccer fans, this World Cup is the first time in eleven years they will be able to purchase alcohol in the stadiums and cheer on their national team. Brazilian government officials met with the 2014 FIFA World Cup committee back in 2012 to discuss a possible bill that would allow the Brazilian government to temporarily lift a previous alcohol ban for the upcoming World Cup matches. The bill that was passed by Brazilian officials in 2003 was set to prevent fatalities due to neighboring team rivalries, but beginning on June 12 of this year, the new bill became active. Soccer supporters are now able to purchase Budweiser products in all the stadiums for the rest of the World Cup events. 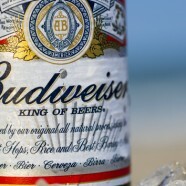 Since Budweiser is the official sponsor and partner of FIFA’s major event, they were included in the bill automatically being granted rights to sell their beer exclusively at the matches. For Brazilians, this temporary allowing of alcohol sales is either a gift or a curse. Despite the previous ban on alcohol, 42 soccer-alcohol related fatalities occurred regardless, making Brazil the leading country in this category. During this year’s FIFA World Cup, the Brazilian authorization to sell beer was hoped to increase popularity for the sport while also further increasing the sales of Budweiser’s products. An article by the Analytic Partners states FIFA is expected to propagate $4 billion for the upcoming tournament, with almost $1.5 billion coming from 22 company sponsorships. This revenue is extremely profitable for Budweiser and definitely reassures FIFA that their alcohol partner is interested in generating more of an audience; but the “Budweiser bill,” as deemed by John Oliver on his show Last Week Tonight, is already seeing some backlash in the home country as well as its neighbors. Intoxicated fans have begun and continue to vandalize and damage not only soccer establishments but cities in South America. Numerous reports of alcohol-related crime exist, as one report stated that nearly 100 Chilean fans broke into and knocked down the walls of security checkpoints before the Spain-Chile game at Maracana Stadium in Rio de Janeiro. Other reports show that neighboring countries like Colombia have decided to enforce their own ban and curfew in hopes of deterring soccer/ alcohol-related violence. As the controversy continues throughout the World Cup, the results of alcohol-related crime asks the question, “Is having alcohol readily available really needed to enjoy a World Cup football match?” Apparently so, as FIFA secretary General Jerome Valcke even stated in 2012, “Alcoholic drinks are part of the FIFA World Cup, so we’re going to have them.” With the verdict set in stone, all people can hope for as fans is a good, clean, exciting football result, on and off the pitch. Killian is a Junior Executive at SJG. He is entering his senior year, studying Technical Communication and Marketing at Missouri University of Science & Technology. When playing hooky from the office, he can be found throwing the baseball, running, fishing or rooting on the St. Louis Cardinals, Rams or Blue Notes.